Basically a new "exhaust" for hot air produced by the engine. 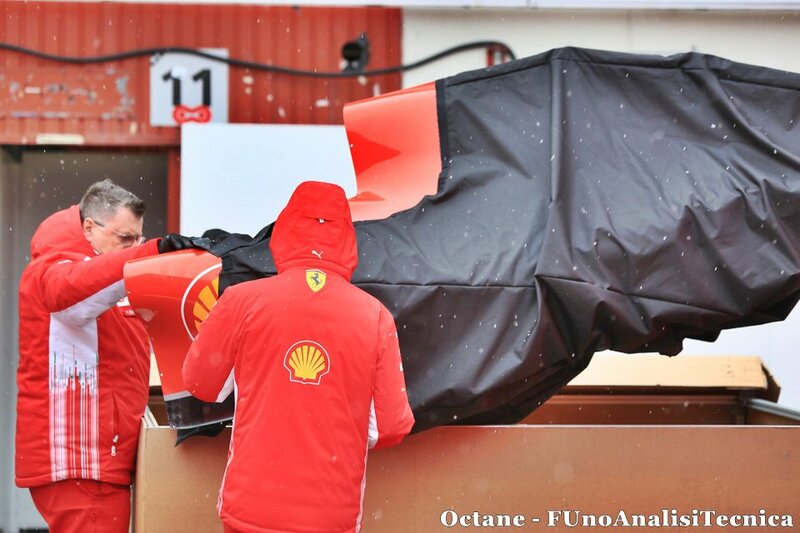 Ferrari's 2018 SF71H Formula 1 car grabbed attention in pre-season testing thanks to the appearance of new bodywork tunnels exiting alongside the gearbox. The intrigue over the tunnels was such that they prompted some wild conspiracy theories about double diffusers, although these suggestions were wide of the mark. These channels are instead the latest step of a clever design path that Ferrari has been working on in recent seasons. 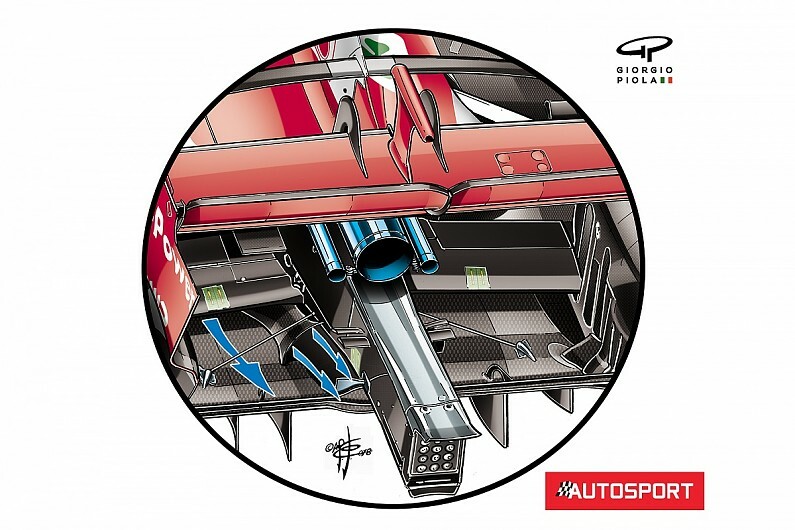 Since 2016, Ferrari began working on the idea of an extra channel on top of the diffuser area to help direct airflow. This trench was previously left open, but for this year it has taken the step of covering it to increase its power. 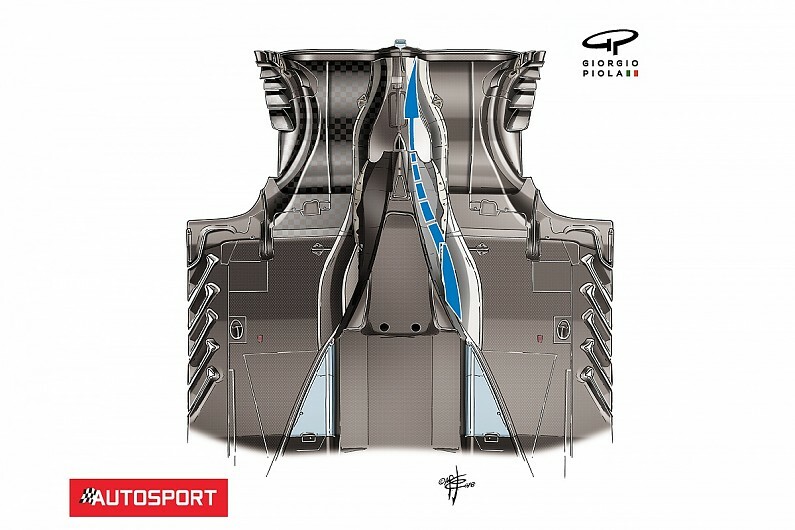 The extra push in this area is also directly linked to the team's decision to increase its car's wheelbase this year. downforce tracks like Monaco and Hungary, it lacked the balance and aerodynamic efficiency required on more flowing circuits. 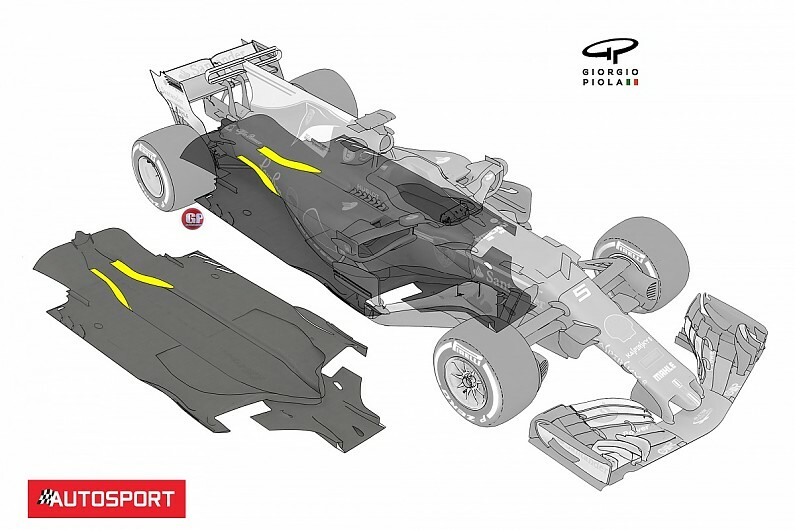 Increasing the wheelbase for 2018 - from 3550mm to 3678mm - allows the team to better manage airflow across the car's surfaces, and especially at the rear of the car, without it forcing the need for high-drag wings. 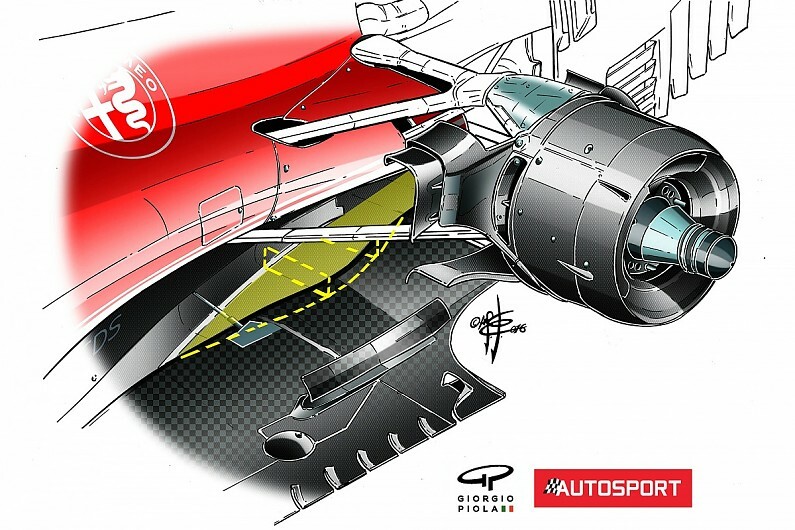 As Giorgio Piola's drawing (above) shows, Ferrari has achieved its longer car by moving its front wheels forward a little bit, but its rear wheels have been shifted backwards much more. As well as lengthening the sidepods, the team has also moved the radiators and power unit forward to free up some space at the rear. 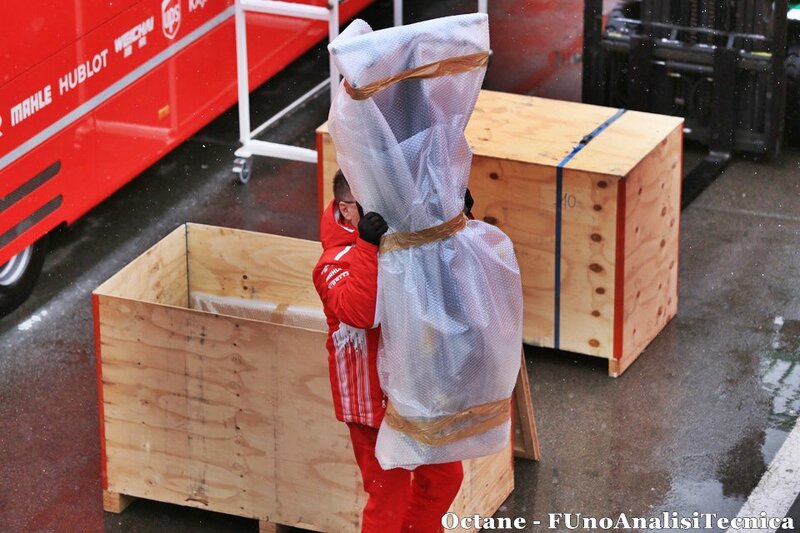 This has the benefit of allowing the team to run ultra-tight packaging at the rear of the car. But as well as very narrow sculpted bodywork at the rear, the design has opened up the chance to exploit more the airflow around the diffuser. This means the channels run right alongside the wall of the new gearbox, which helps accelerate airflow to help feed the diffuser. You can also see how Ferrari has shaped the gearbox covering to help channel air too. 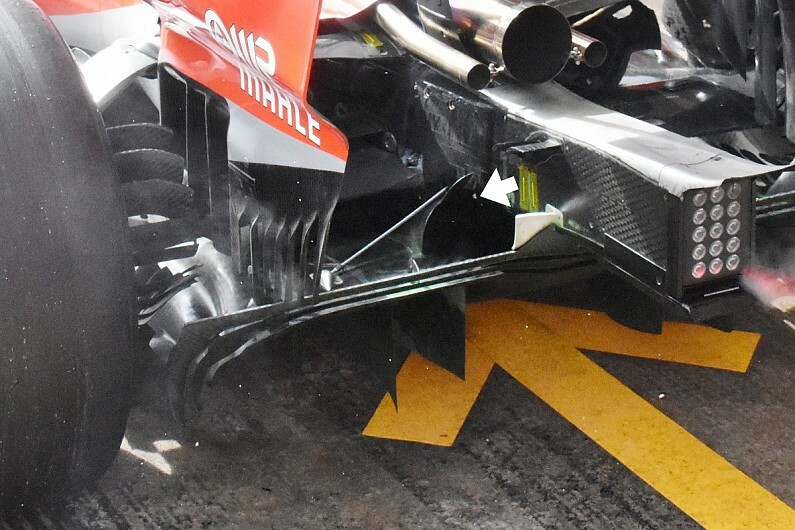 The outlets that can be seen at the rear of the car are actually fed by a trough in the floor that has been present on the last few generations of car (2016's SF16H above). 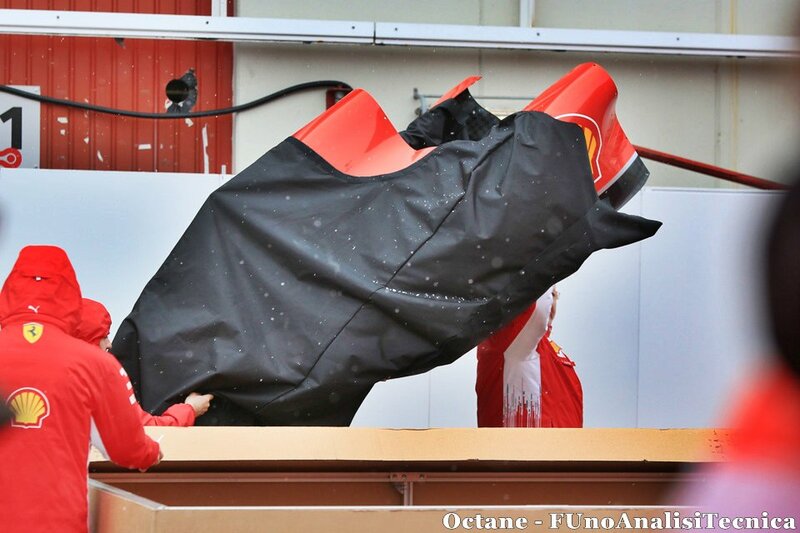 Rather than the trough being exposed as it was in the past, Ferrari has now shrouded it with bodywork so the airflow around the coke bottle region has contours to follow. This bodywork should provide a protective barrier for the flow, helping it to navigate the region more effectively over a wider number of operating conditions. The team will hope that the SF71H delivers its peak performance more consistently at different tracks - and is especially better on the longer flowing circuits where Mercedes excelled in 2017. No wonder she looked long at the back when the pics surfaced. I really keen to hear what Haas thinks of 2018 Ferrari.engine. I feel the new improved Haas has lot to do with the new engine . I am from Palmerston North, Hartley's home town. Good spot! I agree, I don’t think they’d add as much as 12cm to the wheelbase. I think 6-8cm is much more likely. 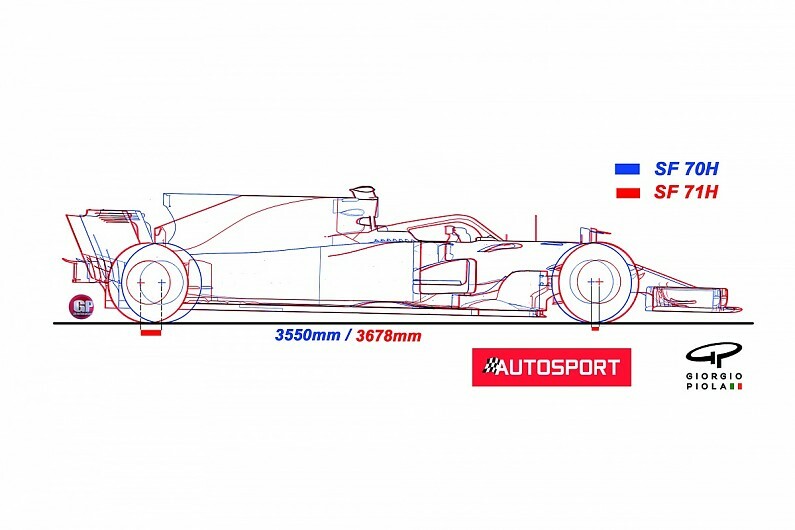 ......W09 has a 3680mm wb vs the SF71-H has a 3678mm wb....by a difference of 2mm.....so yes, in this case, the SF71-H does have a shorter wheelbase. Could you/anyone translate this please? I think that assumes that the Motorsport.com article that stated this is 100% accurate. Sure, it might be, but it might not be. so basically , we had to trim down our front down force since the back was stepping out (because of lack of rear down force ???) 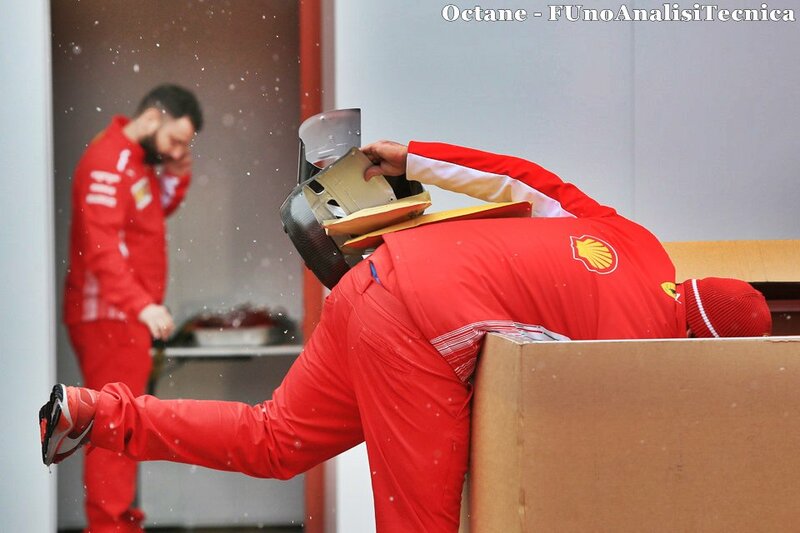 that explains why we were so slow in the corners.... the question is, can it be fixed before melbourne? or do we have to make another chassis? and if so , how long will it take...? Can’t make another chassis as you’d have to crash test it and not enough time now. Just have to reign it in. Hopefully it won’t take long to get the car running to its potential. I hope it’s not anything fundamental. I am sure they will surprise us this weekend! Looking forward to it. I have another idea. The LEGEND SM fire all design department ,and design a new car by himself!!!!! It will be EPIC !!! !